The Atlantic menhaden above are destined to be used as bait by crabbers and lobstermen. With 500 years of fishing in his family’s lineage, the second interviewee of the day spoke longer than most. He explained how his Swedish parents emigrated to New Jersey in the 1950s, assuming that America was “the place to be” to solidify their fishing future. They made their new home in Cape May at the southern tip of that state, home to a robust fishing economy and history. Their catch would include scallops, loligo squid and mackerel — the area was, and still is, rife with seafood. 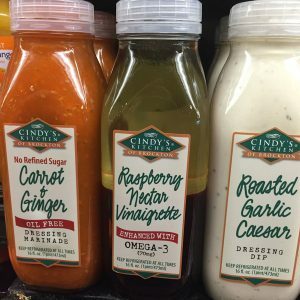 I found this salad dressing (middle) that uses menhaden oil at a Fresh Market in Cameron Village. This fisherman was talking with me about Atlantic menhaden. This small oily fish represents a critical piece of the food chain for many fisheries, a source of bait for lobstermen and crabbers, and an essential ingredient for omega-3 oil products, such as human supplements, animal feeds and even lipstick. I had made the trek from Raleigh to Cape May to better understand the socioeconomic dimensions of the Atlantic menhaden fishery, tracking the fish from its Atlantic Ocean home to its final form as fish food, health product and other uses. My goal is to inform the Atlantic States Marine Fisheries Commission, or ASMFC, menhaden board about the role that fish plays for fishermen and the folks that process, distribute and buy it. The ASMFC funded the study to provide socioeconomic data on the menhaden industry. The ASFMC sets quotas and harvest allocations for many other fisheries up and down the Atlantic Coast. They have some big decisions coming up for menhaden. Do strong stock assessments warrant an increase in quota? Should state allocations be adjusted? Should there be a bycatch allowance? The Cape May fisherman and his family — his brother, sister, brother-in-law and three sons all work in the business — operate fishing vessels that range from New Jersey to Massachusetts, and one large menhaden carrier vessel. From late April to early July, his eight-man crew searches New Jersey and federal waters for schools of this abundant fish. Recent stock assessments and every fishermen I’ve talked to speak of the rebounding fishery. In the 2013 fishing season, New Jersey’s menhaden quota was cut in half — from almost 80 million pounds in 2012 to 42 million pounds in 2013, where it remains today. A weak stock assessment in 2010 precipitated the change. Just as New Jersey’s menhaden bait industry was exploding, it was forced to severely contract. 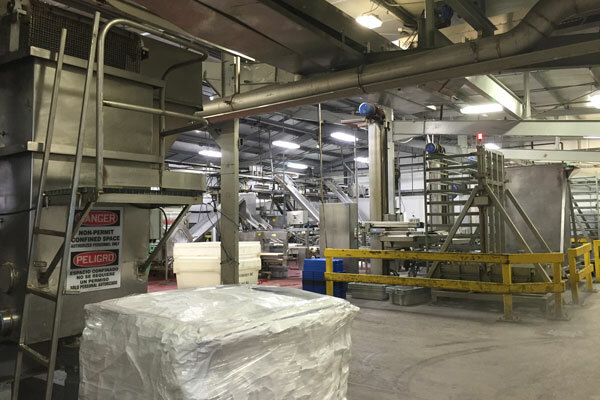 The processing area in Lund’s Fisheries in New Jersey was unused in August. In 2016, the state’s menhaden fishery closed in early July. It used to be open through October. “We took a big hit,” the fisherman explained. His crew works half the number of months they once did, supplementing their catch from other fisheries. Some men scallop, currently the most lucrative fishery in the area. Other guys trawl for flounder and fluke in the winter months. Some likely take unemployment. Over the course of the fall, I will conduct interviews with menhaden industry member in seven states — Virginia, New Jersey, Maine, Maryland, New York, North Carolina and Rhode Island. Virginia and New Jersey represent the majority of menhaden landings on the Atlantic coast, 85 percent and 11 percent respectively. The other states have small menhaden industries, but have the potential for growth. The extent of that growth will likely be affected by ASMFC’s quota and state-allocation decisions. The rebounding menhaden stock was a central topic of discussion at the last ASMFC meeting in early August. The 18 voting members — which include every Atlantic state, the Potomac River Fisheries Commission, NOAA National Marine Fisheries Service, and the U.S. Fish & Wildlife Service — could not reach an agreement to raise the quota for the fish. The quota decision was tabled for the last ASMFC meeting of the year, to be held in late October 2016. A majority decision must be reached; otherwise, no harvest can occur in 2017. The quota decision will not change state allocations. These likely will shift under Amendment 3, which influences how the ASMFC will manage menhaden for the next few years. This decision will be based on updated stock assessments and other new data, including my study. This process to develop Amendment 3 will get underway in 2017. States in favor of the quota increase generally have a significant menhaden industry and greater state allocations. Those in opposition have more active recreational fisheries and smaller state allocations. Fishermen who target striped bass, a menhaden predator, as well as environmental groups have urged caution against increasing harvest rates. They argue that the stock’s health has been buoyed by the restrictions initiated in 2012. 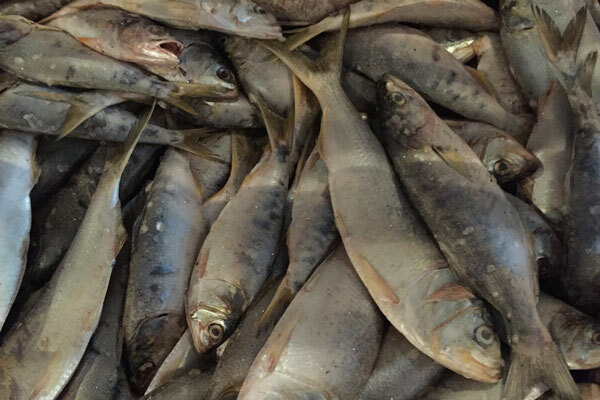 Removing those would only return menhaden to its previous status — overfished. Even some small-scale menhaden fishermen do not anticipate benefits to increasing New Jersey’s quota. Many of them operate under the bycatch allowance, a stipulation that allows them to land 6,000 pounds of menhaden per day once the quota has been met. It is a loophole of sorts meant to benefit fishermen who use gillnets and other less efficient gear types who cannot compete with the massive purse seiners that catch the majority of landings in Virginia and New Jersey. 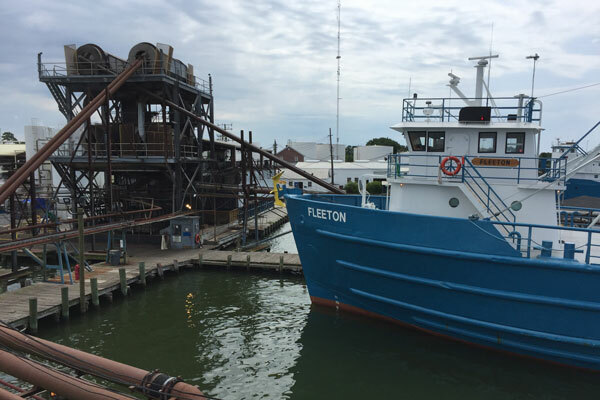 This purse seiner — pictured at Omega Protein, a reduction-oil facility in Reedville, Virginia — can hold up to 2 million pounds of fish. Other potential causes for the menhaden population rebounding are warmer temperatures and the cyclical nature of fisheries, common rationale cited by the menhaden fishermen. Sound fisheries policy and management require robust fisheries and ecosystem science, as well as a nuanced understanding of the socioeconomic characteristics of fisheries-dependent communities. The uncertainty inherent in fisheries science will force ASMFC menhaden board members to make some complex tradeoffs, that much is sure. And what is the significance of the menhaden industry to North Carolina? With only 0.49 percent of the total allowable catch, the state’s menhaden industry is a shadow of its former self. Because state allocations are based on landings history from 2009 to 2011, North Carolina has a small piece of the pie. The last significant harvest occurred in 2005, the final year the menhaden-reduction oil plant operated in Beaufort. From 50 million pounds landed in 2004 to under a million pounds harvested annually in the past few years, menhaden is a small fishery for North Carolina commercial fishermen. Interestingly, North Carolina voted yes to a 5 percent quota increase, but no to an increase of 1, 10 or 19 percent. The reduction-oil fishery likely will never return to the state because of the sizeable infrastructure and investment needed to support it. But the bait fishery could grow significantly given the demand for blue crab bait. Hard blue crab is the largest fishery in North Carolina by pounds landed (31 million) and value ($29.5 million) in 2015. A consistent local supply of menhaden bait would lower costs for the crab industry and increase profits. As an economist, I can point out the opportunity costs of making one decision over another, the winners and losers in fishery policy decisions. Unfortunately creating policy that benefits all is beyond my powers. “Been nothing but fish business for my family here,” the Cape May fisherman concluded. The menhaden’s fate will affect his livelihood and many others. Jane Harrison is North Carolina Sea Grant coastal economics specialist.